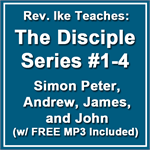 Warning: If you dont like health, happiness, love, success, and money, don't get this teaching series on MP3, because Rev. 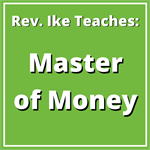 Ike really lays it on you in these lessons! — How do you feel about yourself – at gut level? — Deep in your heart, do you feel that you deserve happiness and prosperity? — Do you have any guilt feelings that you need to be cleansed of? Those negative beliefs that you have about yourself (beliefs that you may not even be aware of) can sabotage you and kick your prosperity away! Learn How to Engineer Your Thoughts! Prosperity is an inside job – and your BEHIND can't get it, until your MIND gets it! These audio lessons are going to help you make some changes in your thinking. You will no longer be dependent on what goes on in the world, as you come to the realization that you are only dependent upon what goes on in your mind! Guilt brings punishment! You must get rid of it. ... and you'll begin to see yourself as healthy, happy, loving & beloved, successful and prosperous – as God sees you! Open Your Mind to Prosperity! As Rev. 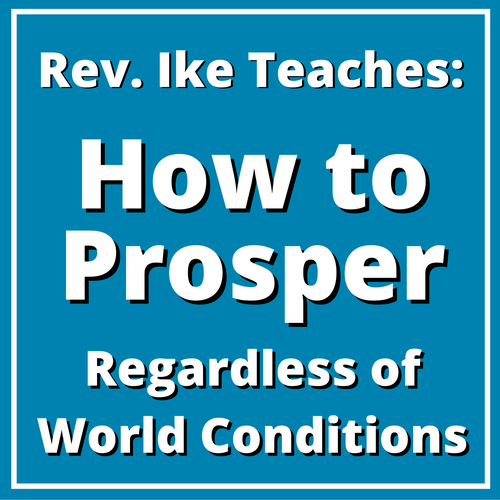 Ike says, "Once you get in tune with the Infinite, you will be blessed with prosperity. It cannot be otherwise!" 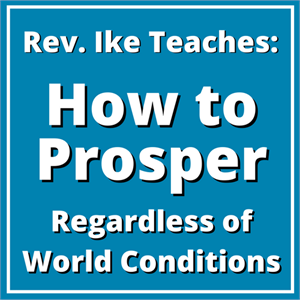 Order this Prosperity workshop now and get turned on to the intensity of Good Desire! Total length: 1 hour 48 minutes.